* I think I may have mentioned this last time out, but who cares? 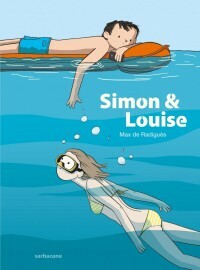 Simon & Louise to Conundrum Press. * Rick Veitch has some process video for his latest, OTZI. * congratulations on newly-minted book deals for Jonathan Todd and Bruce Worden. I look forward to the books. Shing Yin Khor as well. * Nina Bunjevac's next book will be the late summer release Bezimena, for Ici Meme. * it's great to hear that Colleen Doran is working to finish her Distant Soil saga. I get all weepy-eyed when people finish these giant projects, I can't help it. * it wouldn't be San Diego Con time without news of new Rob Hanes Adventure comics. * finally: it should come as no surprise to anyone that there will be a follow-up to the hit Bingo Love effort.